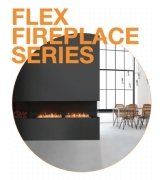 The Flex 68LC.BX2 is a manufacturer approved surround for the UL Listed XL500 burner. The EcoSmart Fire's Flex Left Corner Fireboxes feature transparent glass on the left corner, enabling interior designers, homeowners, architects, and builders to customise their fire solution according to a specific floor plan. 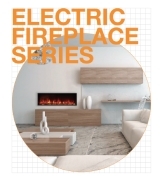 At EcoSmart Inc, we believe in supplying you with the best, most user friendly fireplace and providing you with the means to keep it that way. Many aspects of the EcoSmart Fire are hand-produced, hand-finished and use natural materials, which makes them subject to variations in finish and size. All of our pieces will mature and age over the course of time, through natural processes associated with use and with heat and flame. These changes are an essential part of the dynamic of the piece. EcoSmart Inc reserves the right to make minor amendments without prior notice. Need Help? Request more information or call +1 (888) 590 3335 to speak with a specialist. Indoor or outdoor single room application. With two open sides, view the flame from the left and the front. Includes two decorative side boxes to fill with your chosen noncombustible accessory. This model comes with accessories to ensure the safe operation, including a Fire Lighter, Lighting Rod, Jerry Can 5L, Butane, Black Glass Charcoal and XL Baffles. 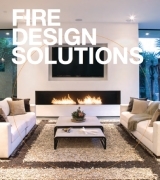 Fire up your ethanol fire with the highest quality, cleanest burning bioethanol available. 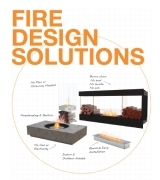 Rectangular-shaped design with longer flame perfect for tailor-made fires. The largest firebox that features a single BK Series burner. Stunning longer-line insert an ideal solution for commercial and domestic environments. Low-profile stainless steel insert with striking elongated XL900 burner.